So, something I don’t talk about a lot is that I am super involved in the Dissociative Identity Disorder community. However, I am just an ally, and I do not have dissociative identity disorder. I have spent countless hours researching DID, following influencers who have DID, and learning as much as I can. I just don’t talk about that part of my life often. If you’d like resources all about DID more in depth, let me know! That’s not what we’re going to be talking about today, though. In this article I am going to be talking about the hit movie Split and it’s final film in the trilogy set to air in 2019, Glass, and how these movies are detrimental with humans who have DID. Split depicts a man with DID as superhuman, claiming that his mental illness is his superpower. That sounds kind of nice, right? Wrong. People with DID are normal humans, who are fully capable of living normal lives. They are not superhuman, and they are not inherently good or evil. DID in the media is often portrayed as something negative, and that the alters (other personality in the internal world/system) are evil by design. You see this in the movie Split, as the main character with DID kidnaps children and tortures them, while becoming a superhuman version of themselves. Humans who have DID are not kidnappers, murderers, or super heros - they are human beings. Glass is not different from its predecessor. Glass implies that people who have DID possess some power that other humans to not, and the psychologist is bring these “superhuman” people together to create a war machine. However, from the trailer, it seems that these three people break out, and plan to take over the world together. Like I’ve said, this is not NORMAL DID behavior. This is over exaggerated for the film. DID can be treated through experience therapy, and people with DID can live completely normal lives. However, not all media has portrayed DID in a negative life. Many people who have DID relate to the film Inside Out, saying that it is a more accurate depiction of what the mental illness is like. There are also films such as United States of Tara, they paint DID as a normal mental illness such as anxiety or obsessive compulsive disorder. While there are more positive examples in the media, these blockbuster films often create more discussion surrounding DID negatively. These are two of my favorite systems, whom I love so much; I watch all of their videos, and value their opinions. I’ve learned so much from them. One argument Dissosiadid makes is that a simple disclaimer at the beginning of Split would have changed everything. A note saying that not all people with DID act and behave this way, could have made all the difference. Split itself is a phenomenal film, but it is important to consider whose lives it hurts. 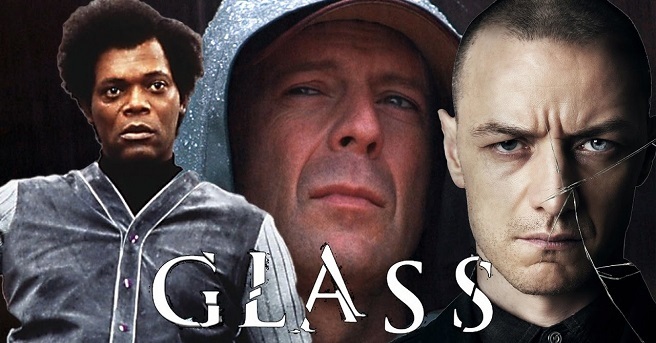 Will you go see Glass in 2019?